Looking for Accessorize student discount? Well the great news is that students can get 10% both online at accessorize.com and in their jewellery stores. To get it online simply go to this page and follow the instructions and you’ll be issued with a promo code. In-store just show valid student id and you’ll also get it. Plus at the moment there is a big offer on of £5 off £25 spends or £15 off spends over £50. This is how you get it. No student id required for this one! Amazing news, there is a Vans student discount code to get 35% off sales purchases and 10% off all other trainers at vans.co.uk. It’s easy to get, just go to this page, verify your student status and you’ll be issued with a discount code to get the reduction. If you’re looking to find out if there is an Accessorize student discount then you’ve come to the right place. 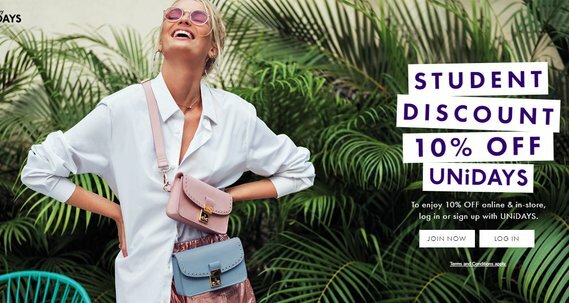 We know it’s confusing so we’ve researched into what student discounts you can get from Accessorize.com, what additional Unidays, NUS offers there are and extra tips and codes so you can save even more. We know time is short, so if you need an answer straight away use our helpful index below. Otherwise read on and learn how students can make the biggest savings when you shop at Accessorize.